THE SHORTLIST for the Safety and Health Excellence Awards 2019, which includes categories on fire safety and security, has been announced following a record number of entries. An esteemed panel of key industry figures whittled down more than 200 entries to a shortlist of 91 entries across ten categories. The panel of judges included Dr Graham Cory (Institution of Fire Engineers), Dr Bob Docherty (Institute of Fire Safety Managers), Graham Ferris (Independent Fire Engineering & Distributors Association), Dr Jim Glockling (Fire Protection Association), Ian Moore (Fire Industry Association), Neal Stone (ex-British Safety Council), Geoff Tate (SSAIB chairman) and Louise Ward (ex-British Safety Council) and Barry Wilkes (NEBOSH). To be announced on the night! SHE Awards director David Bishop commented: “We've had a phenomenal response from the sector by receiving more than 200 entries for the awards. 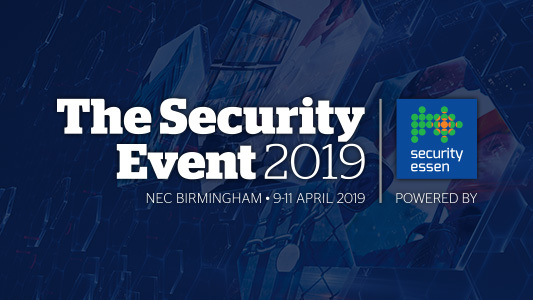 We are proud that the event will once again be delivered in association with The British Safety Industry Federation as it's our joint aim for these awards to celebrate the commitment, endeavour and improvement ably demonstrated in the health, safety, fire and security sectors. "We are grateful to all who entered and to the judges that volunteered their time to ensure we had independently selected shortlists and winners. The Safety & Health Excellence Awards offer a fabulous evening of fun, networking and recognising the great role that all the entrants have played at keeping people and premises safe. With 500 people expected to attend it's a must attend networking evening and we look forward to seeing you there." 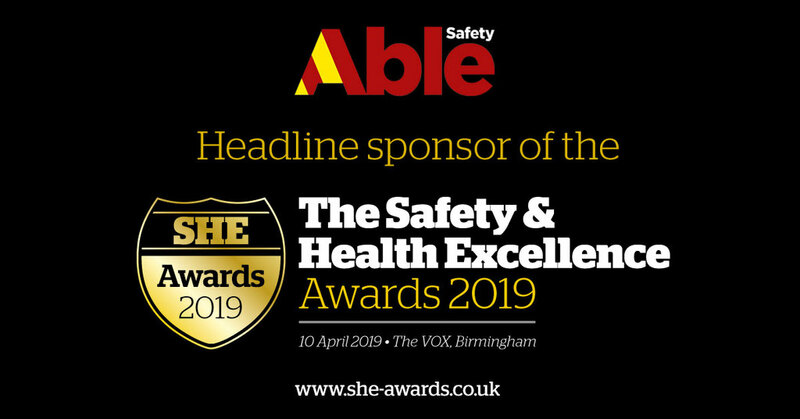 The SHE Awards, sponsored by Able Safety, take place on 10 April 2019 at the Vox, Resorts World, NEC Birmingham and tickets are on sale now. A table of ten costs £1800+VAT and individual tickets cost £199+VAT. To book your ticket visit www.she-awards.co.uk or call 01342 314 300.